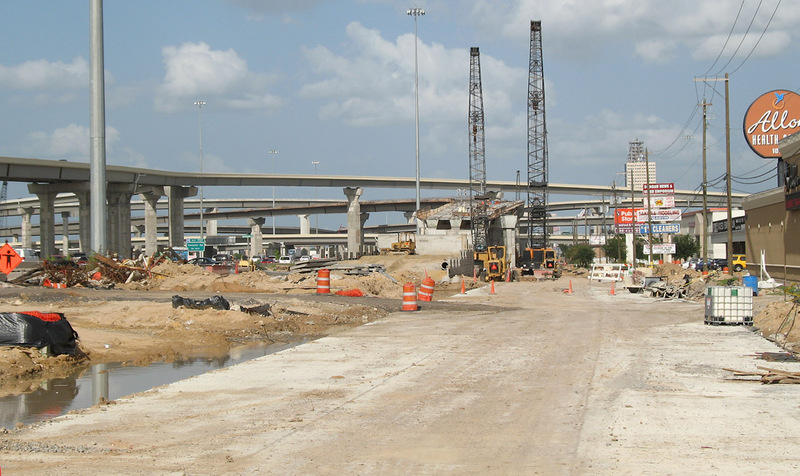 The Katy Freeway is nearly complete! 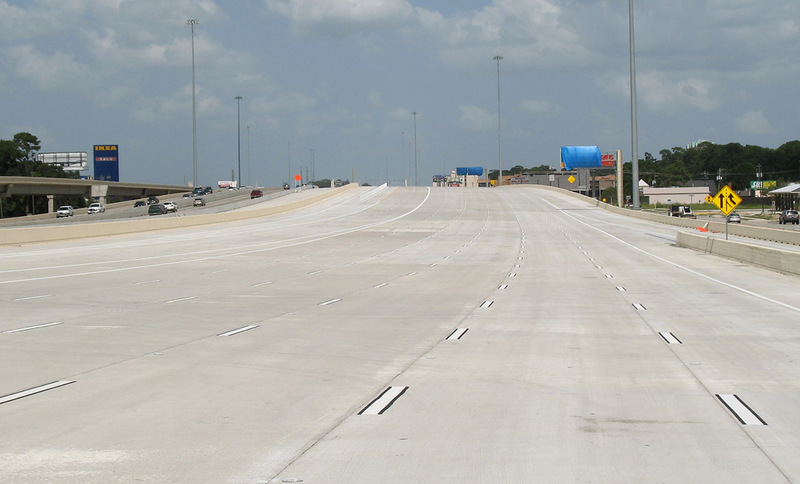 In fact, the freeway was striped to its final configuration from Blalock to Loop 610 on the weekend of July 12. I took these photos July 6. 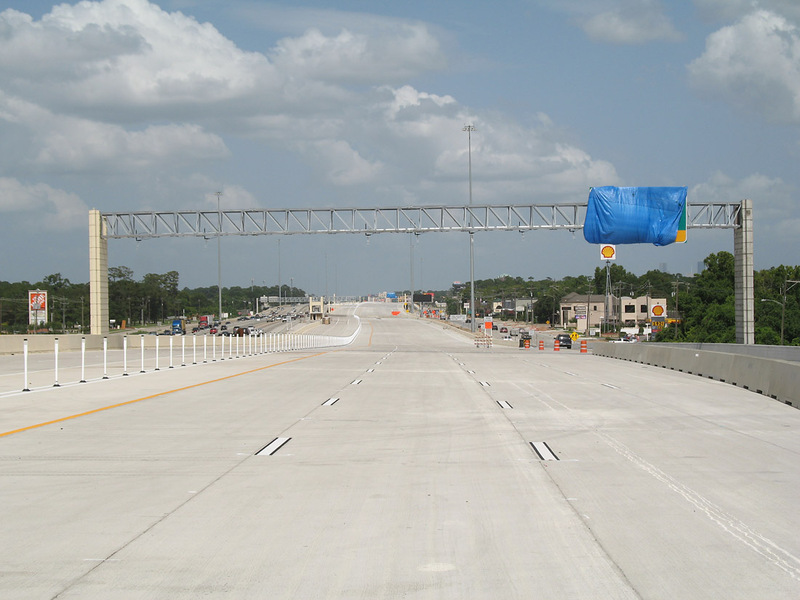 The eastbound main lanes were already striped to the final configuration in the section to be opened. 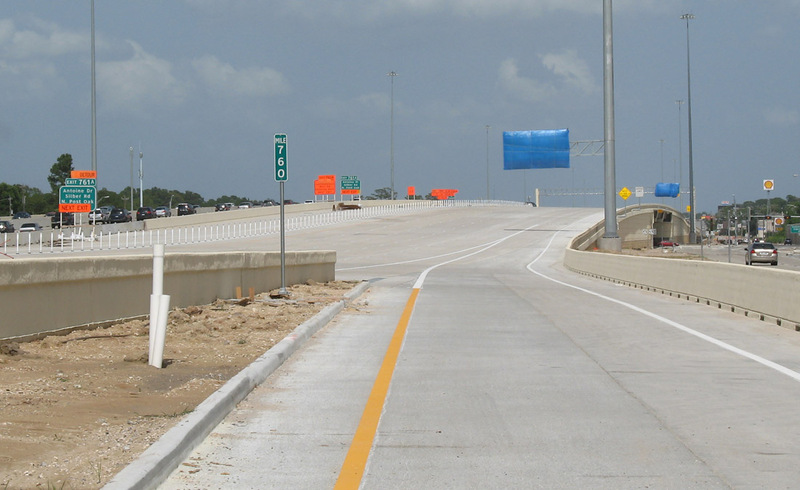 At Beltway 8/Sam Houston Tollway, six of eight ramps are complete and open. The remaining two ramps are nearly complete. 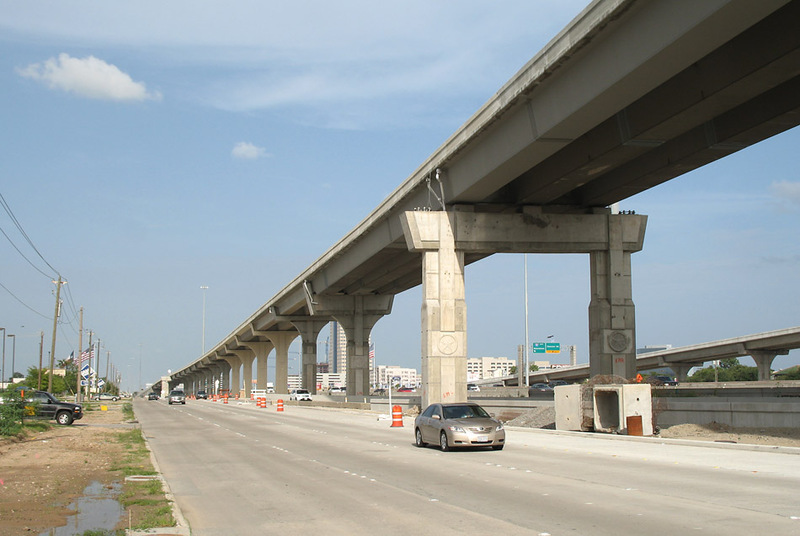 These photos start at Beltway 8 and proceed east toward Loop 610. 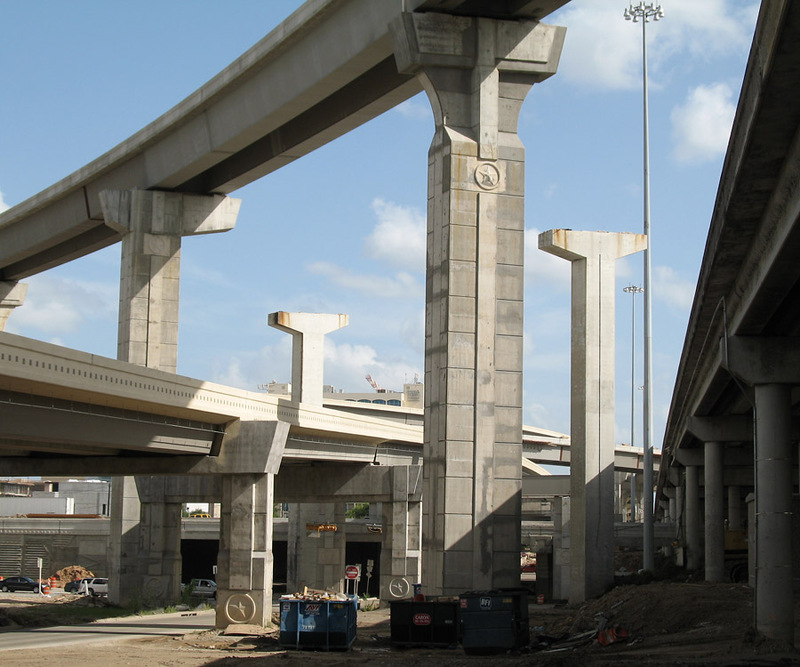 This is on the southwest side of the interchange, looking east along I-10. 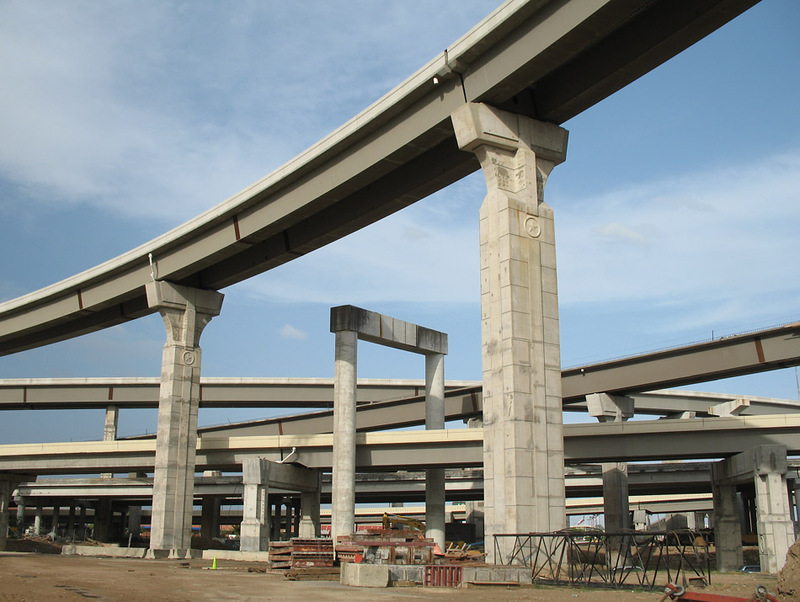 In the foreground, work on the two remaining unfinished ramps is shown. 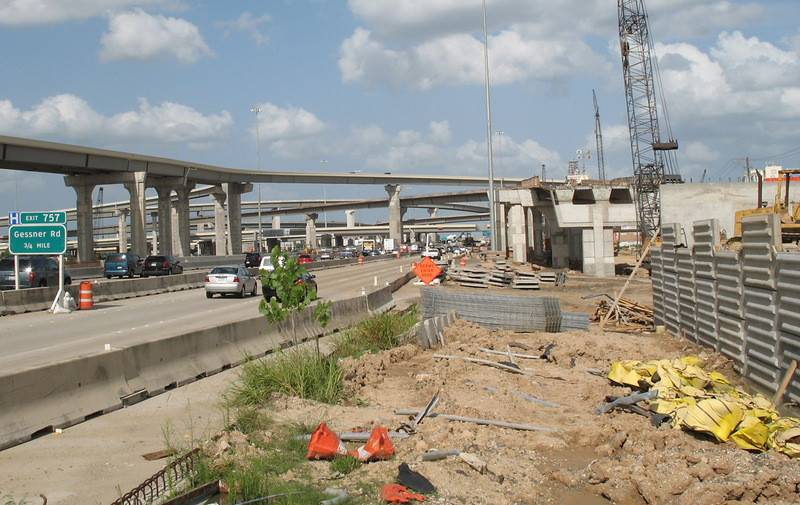 This shows the eastbound feeder under construction on the southwest side of the interchange. Traffic is diverted onto pavement which will be used for main lanes. 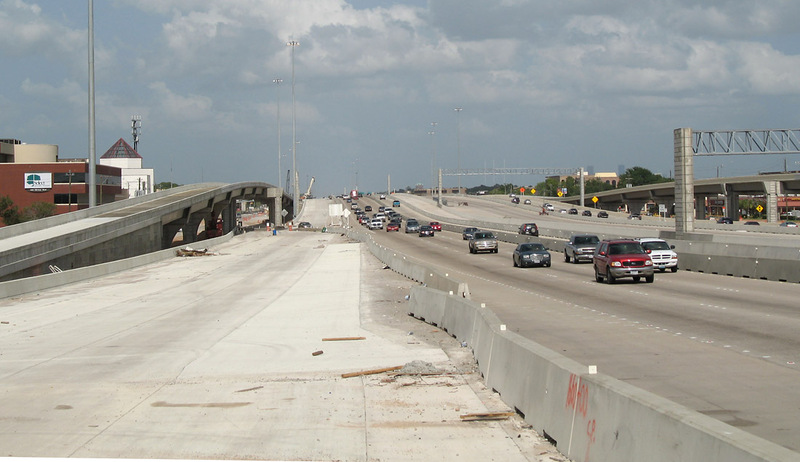 This view looks east along the westbound feeder on the northwest side of the interchange. 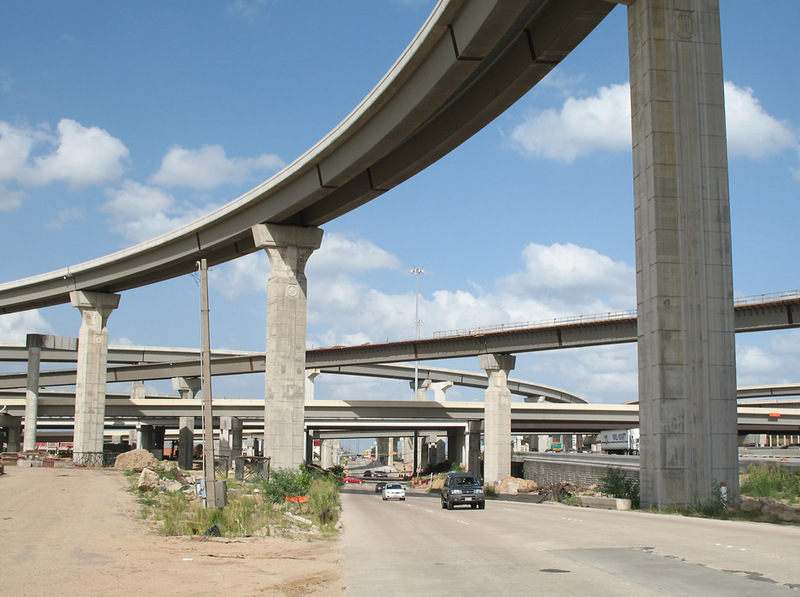 All of the original five-level interchange has been demolished except for three piers. 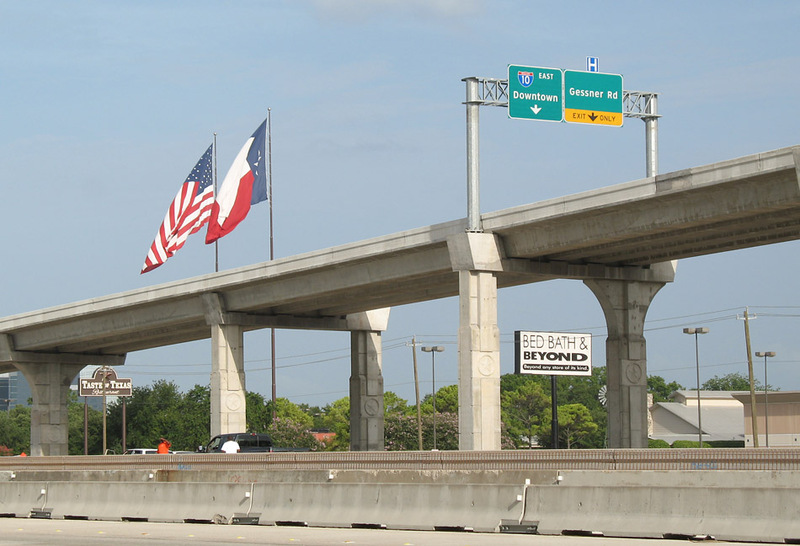 This view shows a remaining pier on the northwest side of the interchange. I think the technical name for this type of pier is a "straddle bent". See it while you can, because it will be demolished soon. 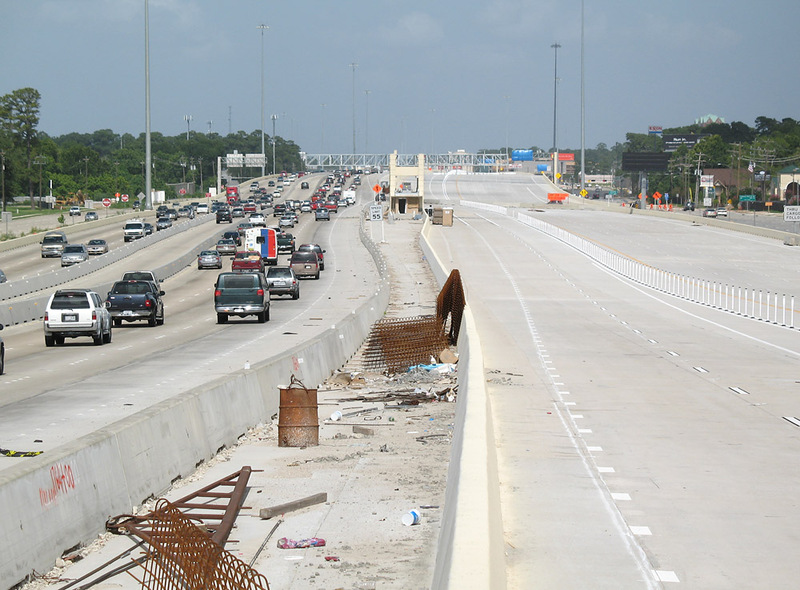 Here is another view of the orphan staddle bent, looking south along the southbound Beltway 8 feeder. 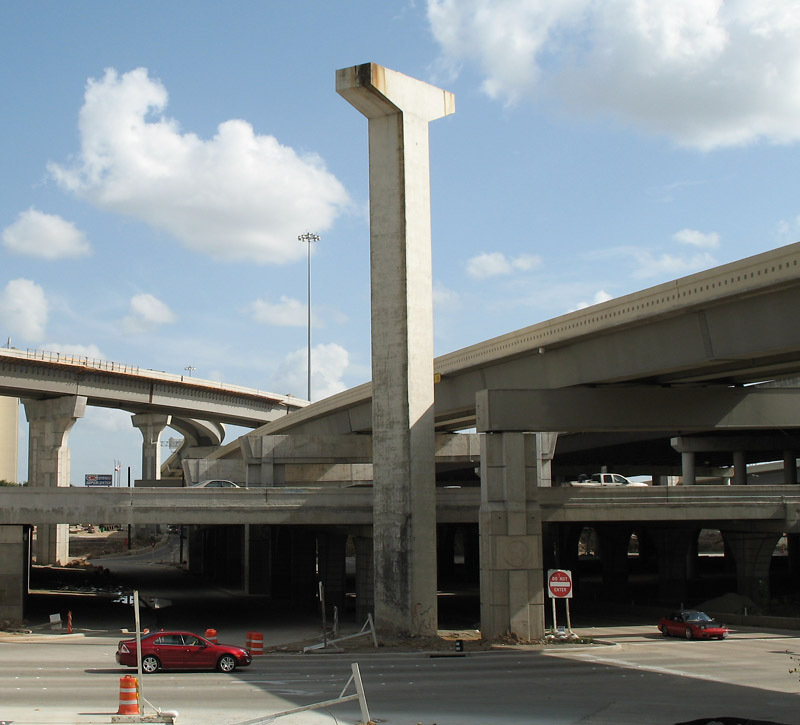 Two orphan piers destined for demolition remain on the northeast side of the interchange. This view looks south. A view of one of the orphan piers. This view looks east along the westbound feeder on the northeast side of the interchange. The ramps along westbound I-10 are very long. 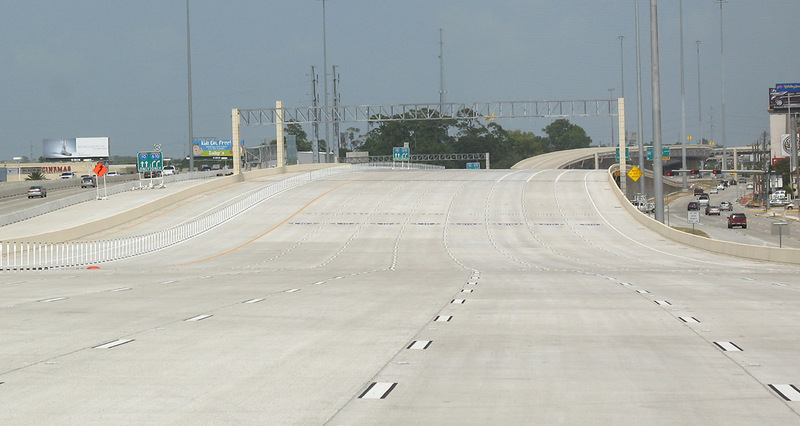 This view looks toward the southeast, showing the ramp connecting to eastbound I-10 on the southeast side of the interchange. This view looks southeast from a braided ramp overpass at Bunker Hill. 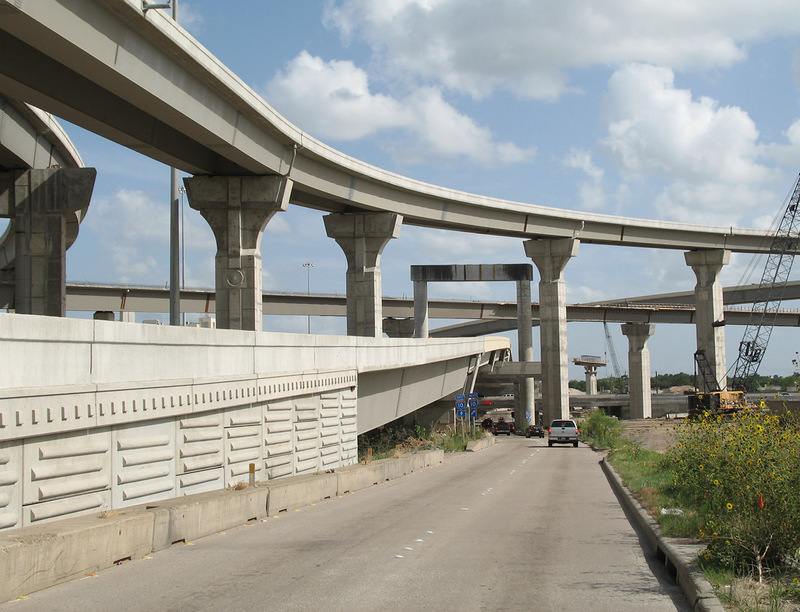 This is a wide-angle view at Blalock, showing braided ramp structures on both sides of the freeway. This is the same location as the above photo at Blalock, but zoomed in. This is the freeway entrance just west of Bingle/Voss, at mile marker 760. 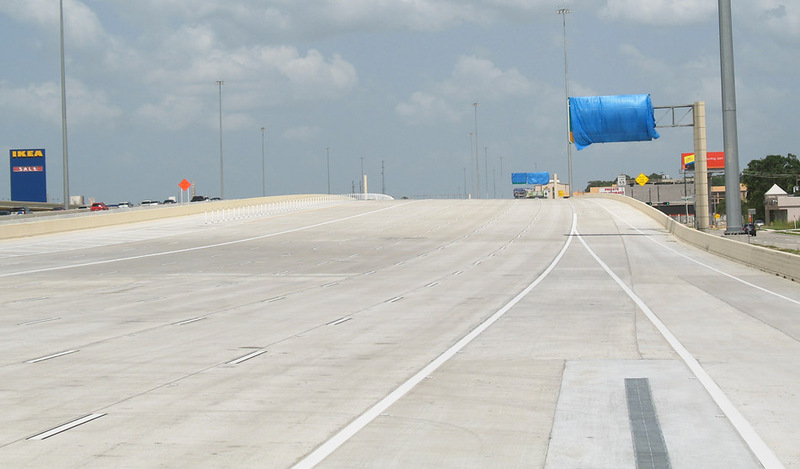 The freeway is striped to its final configuration in preparation for the opening during the weekend of July 12. 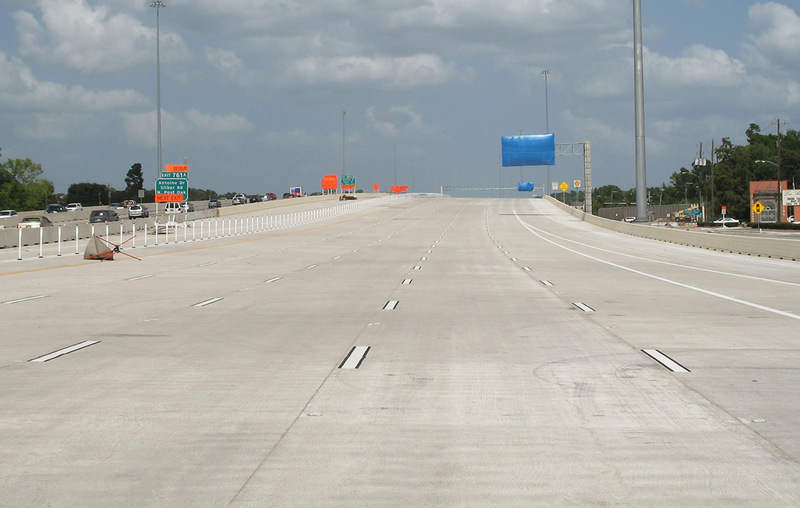 There are five main lanes, and two toll lanes on the left. 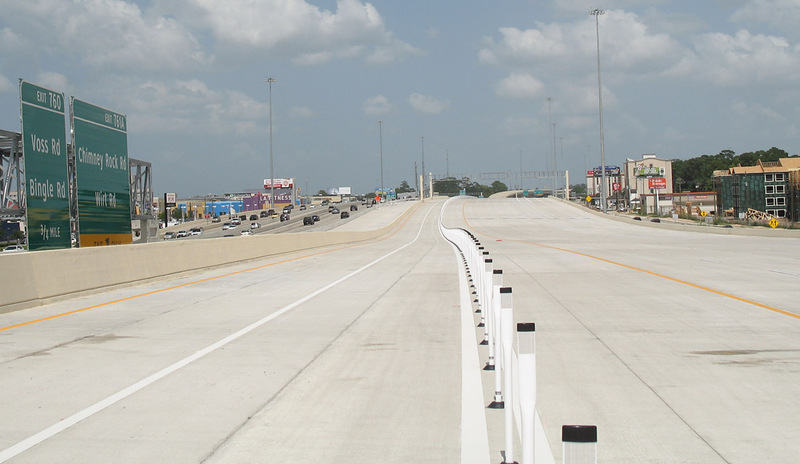 This view shows the two toll lanes in the center of the freeway. 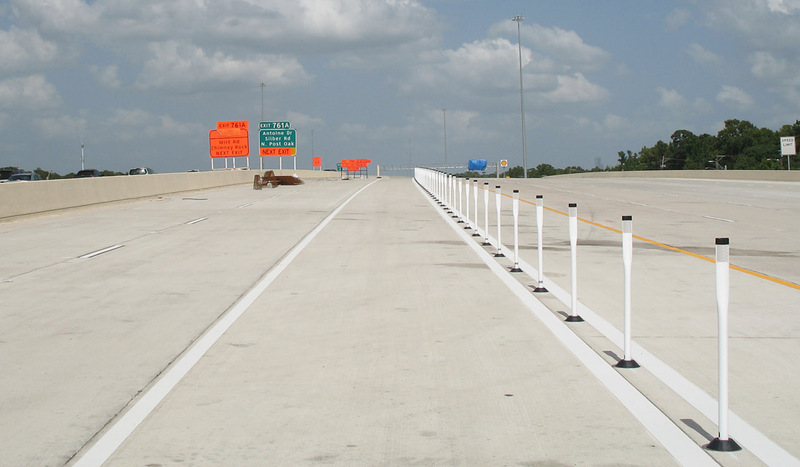 The toll lanes are separated by the pylons. Overhead sign just east of Bingle. East of Bingle. 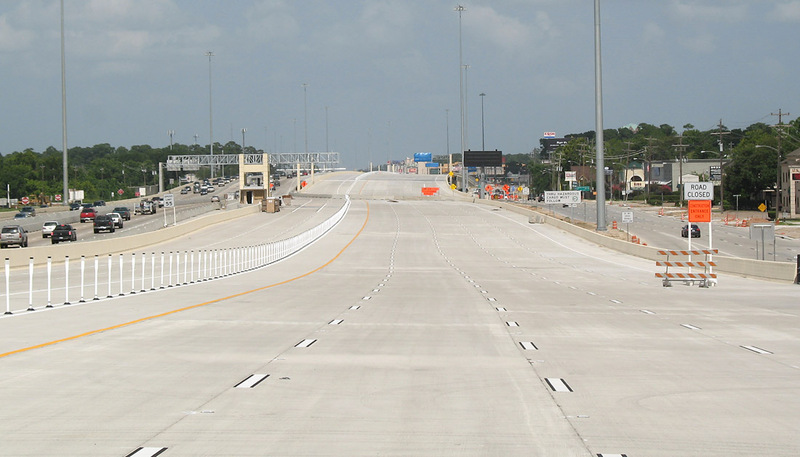 A toll collection plaza for the central toll lanes is visible ahead. Looking at the toll lane management center from the center of the freeway. The Chimney Rock/Wirt overpass is ahead. This shows the eastbound main lanes approaching Antoine. 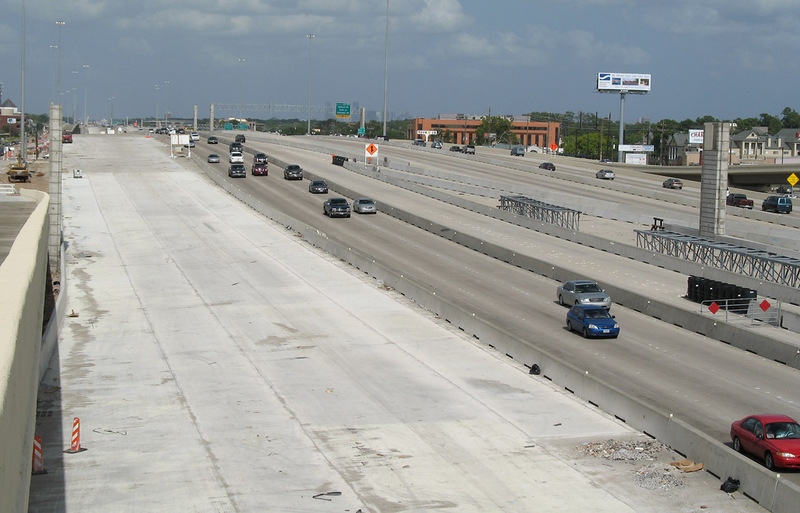 Here we can see that the two toll lanes are merging with the six main lanes. This is between Antoine and Silber, with an overhead sign awaiting positioning on the left. The pylon-separated lane on the left connects to the northwest transit center. The Silber overpass is just ahead. Loop 610 is less than a mile ahead, and there are 8 traffic lanes approaching the 610 interchange.